Christian Merli with his Osella FA 30 Zytek LRM will be lining up at the final and decisive round of the Italian hill climb championship CIVM at Cosenza in Calabria. 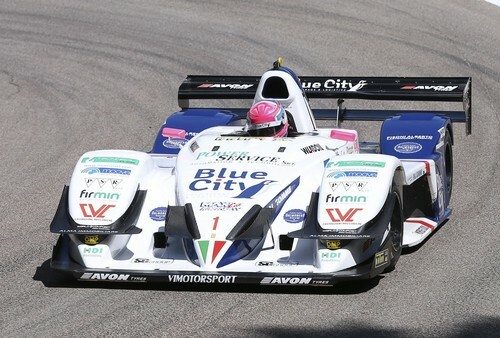 The battle between the Team Blue City Motorsport leader and his opponent from Sardinia, Omar Magliona with the Norma FC, will be decided at the very end of the 12th and final round of the CIVM 2018, the 23rd edition of the Luzzi Sambucina race, which is contested over two race heats on a winding track of 6.150 km. To date, Merli has dominated Race 1 at Nevegal as well as Verzegnis, Ascoli, Trento – Bondone, Sarnano, Erice and Coppa Nissena, thus winning six of the seven rounds in which he took part. On the Fasano, Morano, Gubbio and Pedavena weekends he was racing abroad, winning the European championship. Now Merli is leading the CIVM standings with 150 points, Magliona has 142 and Cubeda 129. 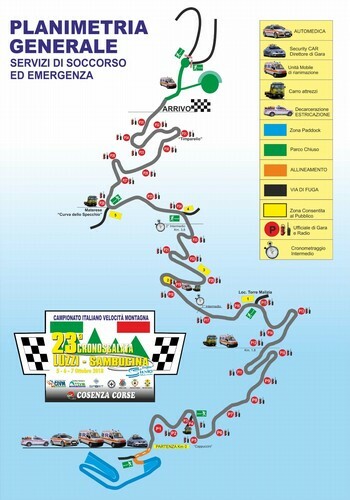 6 May: Alpe del Nevegal (Belluno province) – winner Omar Magliona (Norma M20 FC), 27 May: Verzegnis – Sella Chianzutan (Friuli Venezia Giulia region) – winner Christian Merli, 10 June: Coppa Selva di Fasano (Apulia) – Magliona, 24 June: Coppa Paolino Teodori (Marche) – winner Christian Merli, 1 July: Trento – Bondone (Trentino) – winner Christian Merli, 22 July: Salita Morano Campotenese (Calabria) – Domenico Cubeda (Osella FA 30), 5 Aug: Trofeo Scarfiotti (Marche) – winner Christian Merli, 19 Aug: Trofeo Luigi Fagioli (Umbria) – Magliona, 2 Sept: Pedavena – Croce d’Aune (Veneto) – Magliona, 16 Sept: Monte Erice (Sicily) – winner Christian Merli, 23 Sept: Coppa Nissena (Sicily) – winner Christian Merli, 7 Oct: Luzzi Sambucina (Calabria).